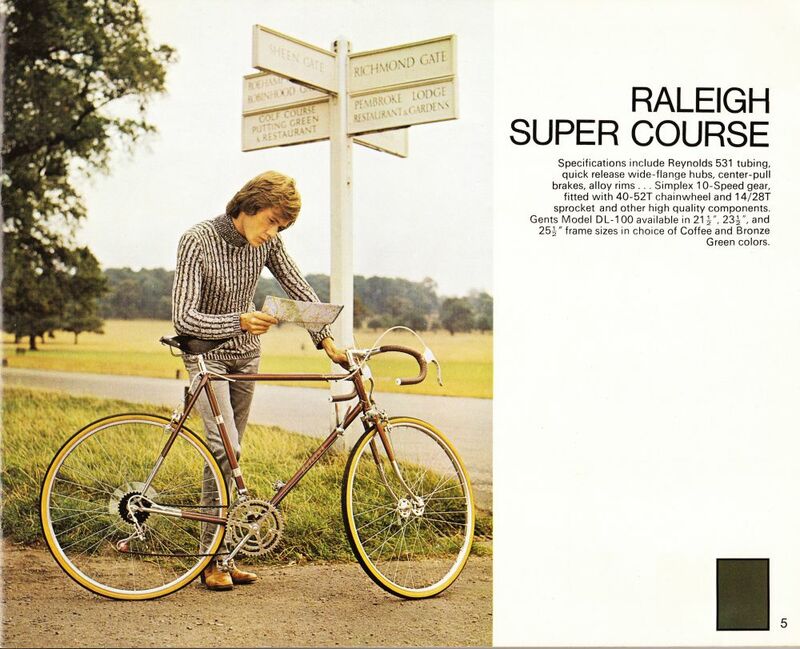 I've always liked Raleigh bicycles, more for their link with British cycling history really. It seems that most of the significant events of British cycling history are somehow connected to the Raleigh brand. I derived much pleasure from my 1974 Raleigh Tourist DL-1 featured on an earlier post, and thought I'd like to have a 10 speed from the same era. 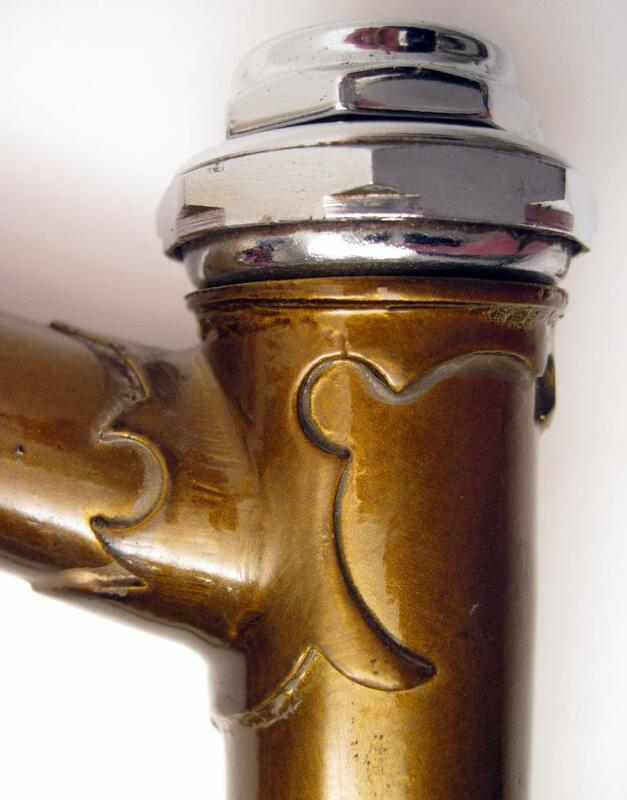 Coffee coloured paintwork with Nervex lugs. As you can see it is in a very good condition, and the frame is straight with no dents or cracks. The "Nervex" lugwork is exceptional. The coffee colored paint is good, apart from a few small chips and scrapes, which is fine considering the bike is 40 years old. 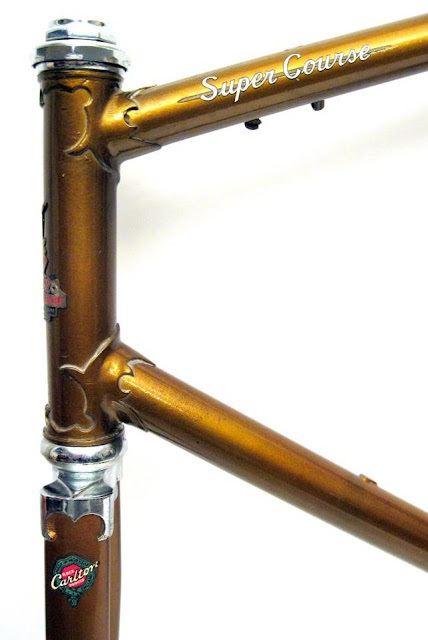 I don't think that the bike was ridden much at all, as there is no wear on the frame that indicates extended use. The decals were good, although I'll need to replace the Reynolds 531 decal that has almost disintegrated. H Lloyd Cycles located at http://www.hlloydcycles.com/ are the official suppliers of Reynolds decals so I'm sure that I won't have a problem sourcing another. ﻿A great photo from the early 1970's.......nice bike, shame about the dress sense! I recently acquired a suitable NOS GB stem that was identical to the stem that was originally fitted to the bike. Here it is.....it's amazing what you can find if you look hard enough! I love the Gerry Burgess (GB) components from the 60's and 70's. It's good to see that they might start manufacturing some new GB components in the near future!! Shimano 600 Arabesque components - 6200 series. 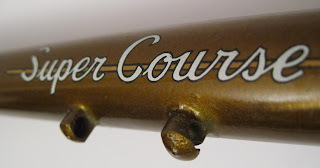 So all I need to do now is source some 27 inch wheels, a Weinmann Vainqueur 999 centre-pull brake set, a Brooks saddle, and some suitable handlebars, all of which should be easy to find. Once I've built the bike I'll post it as Part 2. Very nice. 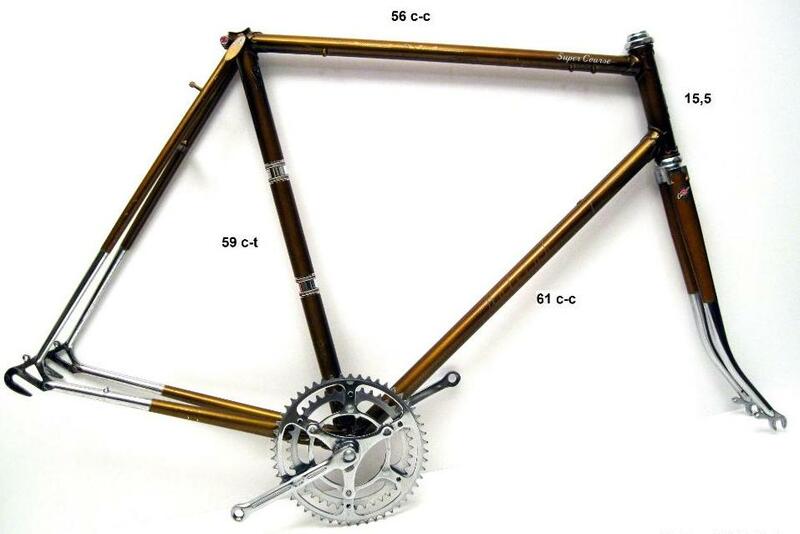 I'm working on a Raleigh now as well: A Raleigh TI Competition from 1982. It has a Raleigh-branded stem made by Sturmey-Archer, Campag derailleurs, Weinmann 605 brakes. The frame needs more work that yours does though. 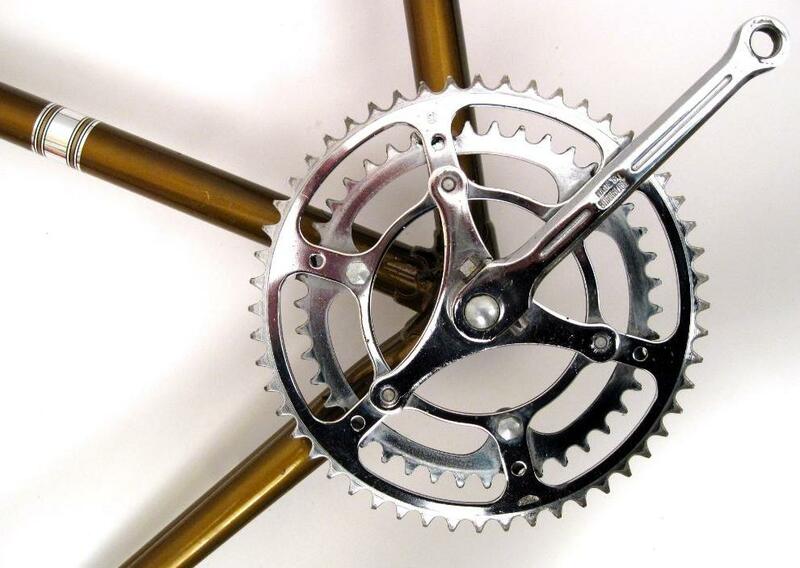 Hi Ben, I also like the Raleigh TI Competition series (with the red, yellow, and black colour schemes), especially the models carrying the Campagnolo gear. I'm hoping to come across one soon!! Very nice, and an odd coincidence. 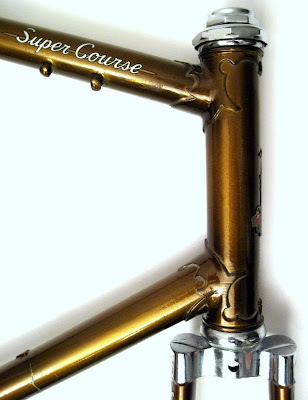 I also have a '72 coffee-colored Super Course that I recently refitted with Arabesque derailleurs and shifters. When I ran across your posting, I had to go out to my workshop to be sure that no one had spirited my dear Raleigh off to Oz!